How does JCDecaux do it? ‘Everyday should feel this good’, is vineyard vines‘ message in the shelter above. Most of the out of the ordinary bus shelters, like the one pictured above for vineyards vines, seems to be executed by JCDecaux What is it about Decaux which allows them to perform these exceptionally unique OOH executions, while other Transit Shelter companies do not? It seems the majority of the time the excuse from the ‘other companies’ is, the municipality will not allow any creative other than the poster. i.e. Nothing can be outside of the 6’x4” box. The implication which they hope to stop further conversation with, that you can’t fight with city hall. The municipality made their decision. Hands are tied. The #OOH shelter company is done here. Yet some others, particularly, Decaux create ‘outside the box’ time after award-winning, time. 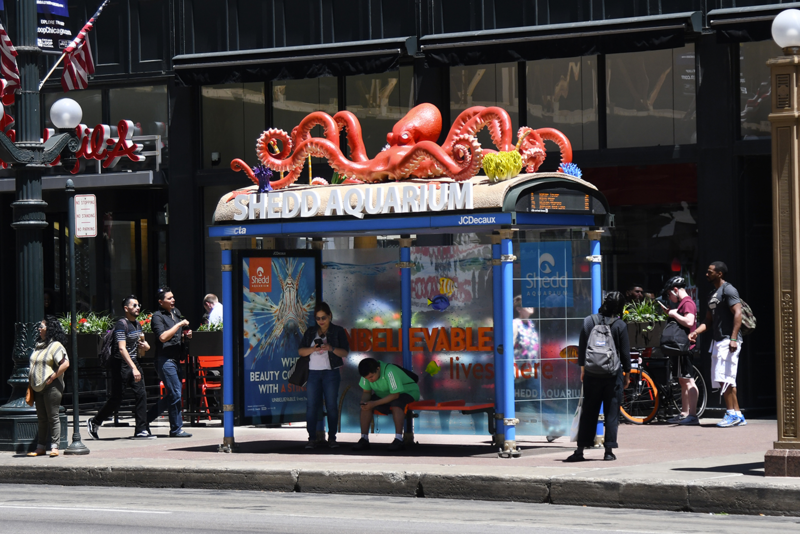 What is it Decaux knows about the shelter transit business, the other guys don’t know? Assuming that excuse is correct and we do not. What is it Decaux knows about the shelter transit business, the other guys don’t know? Is it just good luck? Or that they’re located in cities which the transit authority literally allows out of the box executions? Or could it be, Decaux has some kind of ‘secret sauce‘? If I am wrong, other shelters companies, please send photo examples and I will publish with retraction Friday. Does Decaux have some Secret sauce? Or is it greater skill and understanding in the shelter and street furniture business working with municipalities? is it greater skill and understanding in the shelter and street furniture business working with municipalities? NICE! JCD sets the bar high. Global leaders of OOH and Street Furniture. The Creative is the variable of success for ads in any media channel.